I'm sure the Atlantic and Mint Theater Companies didn't plan it that way. But as it turns out, their current shows are both revivals of long forgotten comic satires from the first decade of the 20th Century. The name of Arnold Bennett, the author of the Mint's What the Public Wants, may ring a bell, but probably because of his novels about a London exurban area known as The Five Towns more than his plays. Landon Mitchell, the author of Atlantic Theater's A New York Idea is likely to draw a complete blank. The term adaptation to describe productions resuscitated from the dead play archives, most often refers to the process of translating a foreign language text into English, and in doing so also modernizing the language to make it flow more smoothly. But when both plays being presented are written in English, as is the case with both The New York Idea and What the People Want, the adaptation's focus is on staging it to fit a modern theater company's financial resources and the changing expectations of audiences in terms of structure. Eliminating the once standard 2 intermissions as well as minor characters and/or having actors double and even triple up on roles typify this process and tend to work quite well. Since the Mint has earned its well deserved reputation as one of New York's theatrical treasures and expert rescuer of forgotten plays, their adaptations tend to avoid any diddling with the text or even the two intermission structure. What the People Want is a case in point. Several of the actors multi-taks and that multi-tasking, as is often the case, adds some subtle humor. The Atlantic Theater, on the other hand, tends to take a more free-handed approach to adapting old plays, at times hiring well known playwrights and giving them free reign to do what they will to make an old play fit a modern day audience's tastes. David Auburn, whose original play Proof won a Pulitzer, went all out with do-what-you-will approach for The New York Idea. And while his extensive restructuring worked in some instances, it ultimately failed to make this revision sizzle. Most disturbingly, it entirely changed playwright Mitchell's intent. In adition to providing an interesting comparison between two approaches to adapting an old play for a modern theater audience, these simultaneously opening plays also says something about WHAT to revive as well as HOW to do it. Having read Mitchell's original script, I did see where what Mitchell wanted to say has lost some of it's pertinence and so isn't really all that worth reviving-- and, if it were brought back does invite a more free-wheeling approach. Bennett's play, on the other hand, for all its being determinedly of its time, is remarkably relevant even in the Mint's pretty much word-for-word adaptation. Were Bennett and Mitchell around to see their works as presented now, I think Bennett would be more pleased than Mitchell. 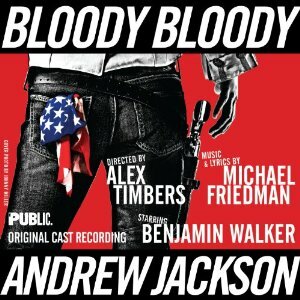 Here are links to my reviews of both these production: The New York Idea and What the Public Wants.